Why Should We Understand The Jewish Feasts? 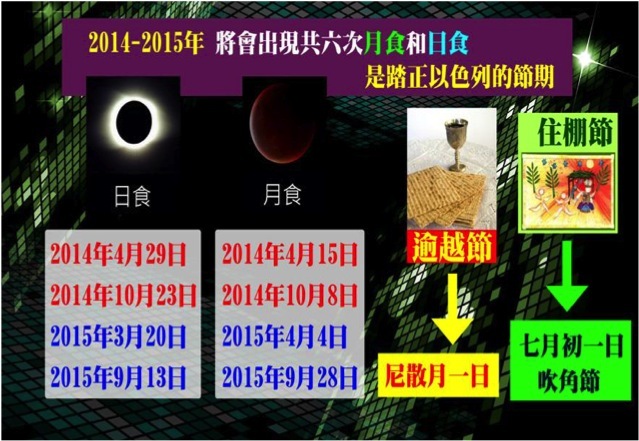 The feasts can be described as God’s prophetic calendar, which tells us the things both in the past and in the future. Passover, Pentecost, Tabernacles, are three major feasts which Israelite males must go to Jerusalem to celebrate. 2. 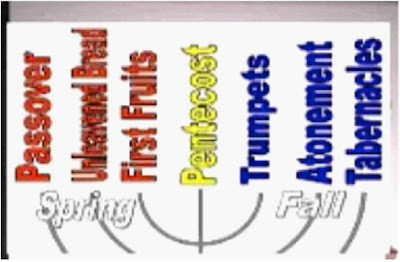 There are seven feasts in the Scripture; they are Passover, Unleavened, First Fruit, Pentecost, Trumpets, Atonement and Tabernacles. Passover and Unleavened are held in the early spring. Pentecost(Festival of Week) is held in the end of spring. Atonement and Tabernacles which lasts for 8 days are held in the fall. A. When God communicated with the people, He made the Israelites know the feasts. However most of them didn’t know that the feasts stand for or presage the God’s destiny and His historic plans. B. The first coming of Jesus Christ fulfilled four feasts, which are Passover, Unleavened, First Fruit and Pentecost. The Crucifixion of Jesus(Passover), Jesus’ purification from sins(Unleavened) and the Resurrection of Jesus(The date of Resurrection of Jesus was First Fruit). Jesus said we do not know that date or when, but we may know the season of Jesus’ second coming. The first established feast: In Exodus 12:6, Pesach means “to pass.” and “to open wings to protect and cover.” During Passover, “on the tenth day of this month, each man (of Israel) is to take a lamb for his family, one for each household.” They will prepare that for four days until the fourteenth day of the month, which is the day of Passover, they will slaughter the lamb. Passover lamb = Jesus sacrifices and redeems sins to set up the new covenant. The Passover lamb must be chosen on the tenth day of the first month. In the era of Jesus, only sheep from Bethlehem are eligible to be devoted as the Passover lambs. After the Bethlehem-born lamb is chosen, it will be taken to the east of Olives Mountain and will go through the Sheep Gate to Jerusalem, that is, Bethlehem-born Jesus went to Olives Mountain and entered Jerusalem from the Sheep Gate on the tenth day of the first month. When Jesus came into the city, many people spread palm branches on the road and shout ““Blessed is he who comes in the name of the Lord!” People’s shouting indicates that Jesus is the Messiah of Israel. The people have chosen their Passover lamb. In the morning of the fourteenth day of the first month, the lamb will be taken to the altar, that is, Jesus was crucified in the morning of the fourteenth day of the first month and be shown in public on Calvary Mountain. At 9 am, the lamb will be bound on the altar to be shown in public. At 3 pm, the high priest will get on the altar and the other priest will blow the trumpet, and then the high priest will cut the throat of the devoted lamb and say “It is finished.” (tetelistai means that “the debt is paid off.”) That is, Jesus also said loudly “It is finished”, and then died. 1. Eating unleavened bread will be held for seven days from the next day of Passover (April 20, 2011). Exodus 12:14-16 : Israelites remove leaven (sin, arrogance ) on the Feast of Unleavened Bread with candle, feather, and wooden spoon. But unleaven bread (Marzah) stands for humbleness. 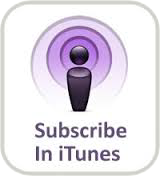 When Jesus arrived in Jerusalem, He went into the Temple, and sent out money-changers there. He followed the rules to prepare the Feast of Unleavened Bread, and cleaned the Father’s Temple. So, (1 Corinthians 5:8) Therefore let us keep the Festival, not with the old bread leavened with malice ()and wickedness, but with the unleavened bread of sincerity and truth. 2. Jesus has fulfilled this feast, because He is the unleavened (without sin) bread of life. (John 6:35) Then Jesus declared, “I am the bread of life. Whoever comes to me will never go hungry, and whoever believes in me will never be thirsty. Israelites break unleavened bread (Matzah) on the Feast of Unleavened Bread to signify the crucifixion of Jesus. It is said in Isaiah 53:5 that He was crushed and pierced; and in Zechariah 12:10, the one they have pierced. 1. It will be celebrated on the seventeenth night of Nisan to the eighteenth day. It is written in Leviticus 23:9-14 that Israelites were taught to wave the sheaf of the first grain before the Lord. They must wait until sacrifice the first grain before they can eat the harvest. = The day Jesus rose was the Feast of Firstfruits. 1 Corinthians 15:20, if the firstfruits are fruitful, so are the fully ripe fruits. The resurrection of Jesus is like the firstfruits. 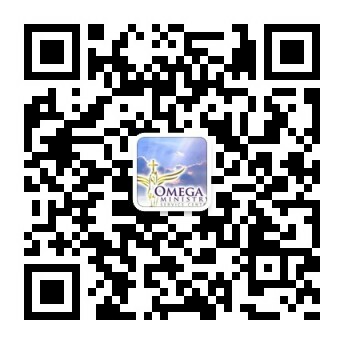 Therefore Christians who live in Christ must experience resurrection. Sacrifice Lambs on the Passover: To memorize the blood of lambs will bring down power. 2 Chronicles Chapter 29-30 “Hezekiah did what was right in the eyes of the Lord. He repaired the temple of the Lord and consecrated it. He demolished the altar of false gods, and restored the sacrifice and the worship which David set up. And Hezekiah proclaimed to all Israel and Judah and invited the people to celebrate the Passover. In the eighteenth year of King Josiah, this Passover was celebrated to the Lord in Jerusalem. From the era of Judges ruling Israel to the northern and southern kingdoms, Jews had not celebrated the Passover. 1. Abundance: The fiftieth day after the Feast of First Fruits is Pentecost. Both the Feast of Fruits and Pentecost are related with harvest of grain. Seven weeks later crops will be fully ripe so there would be another sacrifice again. (Leviticus 23:15-21) Two sacrifices are for gratitude for abundant harvest. 2. A memorial day to thank for the laws: Pentecost is for Judaism to commemorate the day Moses received the Ten Commandments on the Sinai on the fiftieth day after the day Israelites have come out of Egypt. This is also “the memorial day to thank for the laws.” The Ten Commandments is “ketubah (marriage covenant)” between God and Israel. The Holy Spirit is poured out on “all people.” The revived life speaks of God’s great works and testifies for Jesus in all the nations. They wait for His second coming. We can see the harvest from here. The Pentecost is the pouring of the Holy Spirit. 1. 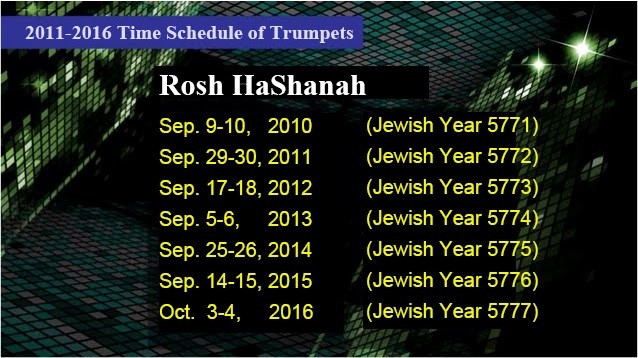 The July of the Sacred Calendar – Ithanim (also called Tishrei) has three continual feasts: Trumpets for one day (the Jewish New Year), Atonement for ten days, and Tabernacles for fifteen days, which are to recall the Creation of God and the end day judgment. The Trumpets = Jesus is the King. 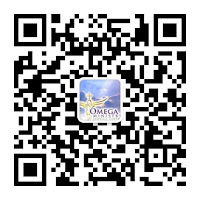 Ten dreadful days after the Trumpets = Seek the LORD while he may be found; call on him while he is near. Atonement = Jesus is Judge. On that day, the books of heaven will be closed. Humans’ fates will be sealed. Tabernacles = Jesus is the bridegroom. The Feast of Unleavened Bread on Passover (Exodus chapter 12 and 13) and the order to celebrate the feasts are both for commemoration of God’s works, and to declare God’s covenants and to respond indeed. The purpose for meeting on Pentecost is the same as Sabbath. Both of them are to commemorate the grace and redemption God gives. (Deuteronomy 5:15, 16:12) So the day of Sabbath is the time all of people gather to listen to the words of God. In Jewish tradition, the Pentecost is to commemorate the time Israelites received the laws and commandments in Sinai seven weeks after they had come out of Egypt. This feast is also known as “complete day” witch is the end of the Passover. It explains the redemption on Passover is complete with the laws and commandments at Sinai. Nehemiah held many gatherings to receive the laws and listen to God’s will in some feasts in the seventh month after they returned back. (Nehemiah 1:1-18) Solomon held the big gathering for the dedication of the temple on Tabernacles (2 Chronicles 5:3, 7:8-10). It also happened on Pentecost that there was a revival in the third month of the fifteenth year of Asa’s reign that they assembled in Jerusalem to enter into a covenant to seek God (2 Chronicles 15:10-15). So in Jewish tradition, they sing the poetry of Hallelujah in the three feasts (Psalm 113-118). 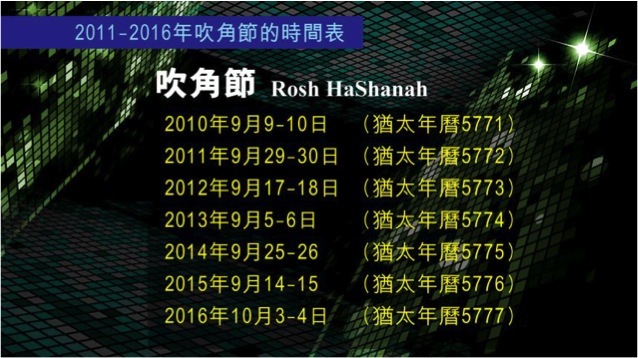 The first four of the seven feasts have been fulfilled according to the assigned time and day. Zechariah 3:9 "See, the stone I have set in front of Joshua! There are seven eyes on that one stone, and I will engrave an inscription on it,’ says the LORD Almighty” On which day was that? In the seven feasts of Israel, there’s only one feast which stands for getting rid of sin in one day; that is Atonement, which is the day Jesus comes back again. In the end of the book of Zechariah, they can start to celebrate the seventh feast. Why? Because there is the temple at that time, and they can celebrate the Tabernacles – God lives with people for one thousand years. (1 Thessalonians 5:1-4) “Now, brothers and sisters, about times and dates we do not need to write to you, for you know very well that the day of the Lord will come like a thief in the night. While people are saying, “Peace and safety,” destruction will come on them suddenly, as labor pains on a pregnant woman, and they will not escape. Paul said that “about times and dates we do not need to write to you, for you know very well.” (We don’t know the time and the day in which year.) However we know in which season. 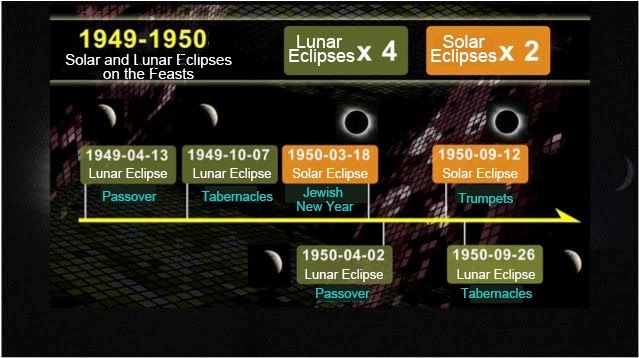 From ancient times, rabbis of Israel have already known that when solar eclipses appear on the feasts of Israel, disasters and big events will happen in the world. 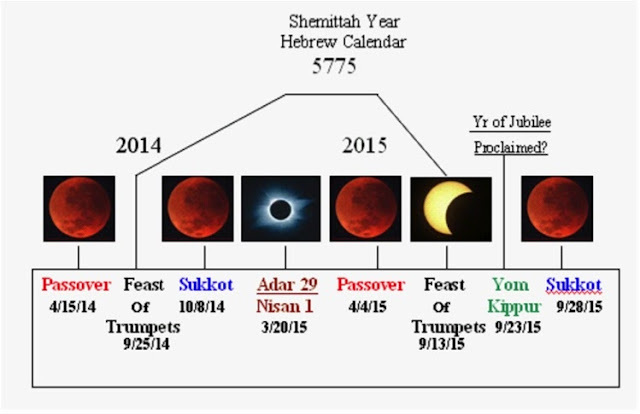 And when lunar eclipses appear on the feasts of Israel, disasters and big events will happen in Israel. 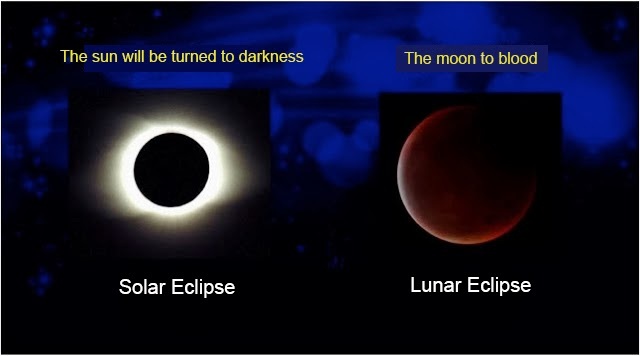 · Lunar eclipse: when the Moon goes into the shadow of the Earth (the umbra), the Moon’s surface, which is originally irradiated by the sunlight, partially or completely cannot be illuminated by direct solar radiation, so that the observer on the Earth cannot see the ordinary Moon. 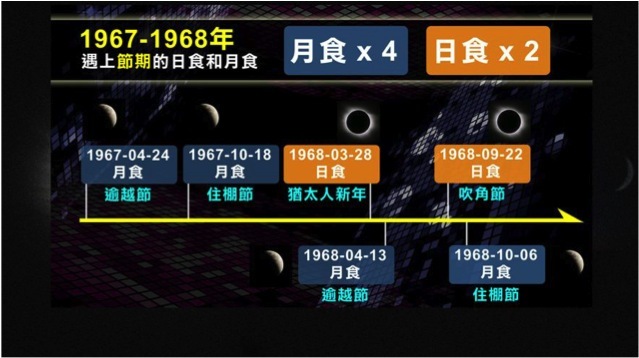 · Thus the lunar eclipse must happen at the night of full moon, and there are at least twice lunar eclipses in every year. · Solar eclipse: It happens when the Moon goes between the Sun and the Earth. 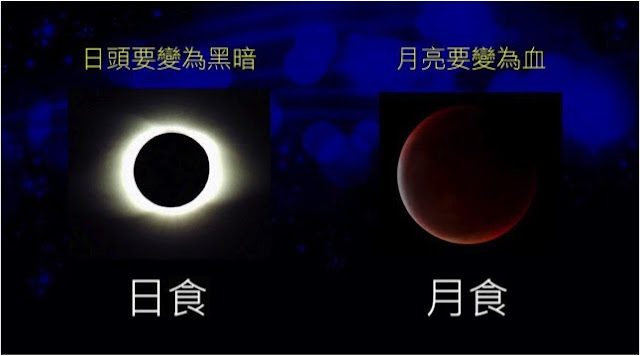 At that time, in some regions on the Earth, because the Moon is in front of the Sun so that partial or whole light is blocked, it will be like that the Sun is partially or completely disappeared. 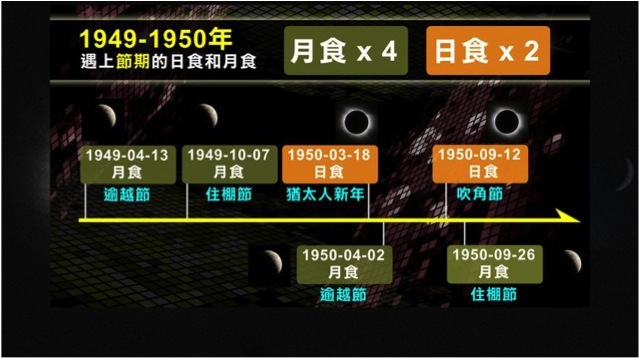 · There are three kinds of solar eclipses which include total solar eclipse, partial solar eclipse, and annular solar eclipse. 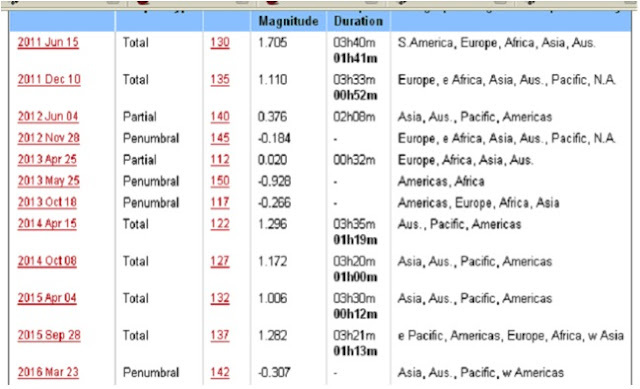 If the solar and lunar eclipses happen on the feasts of Israel, there must be great impact in the world. For example, in 1948 two years after the establishment of Israel, there were various battles with Arabian Union that intimidated Israel’s safety. The well-known Six-Day War on June 12, 1967 recaptured the control of Jerusalem. 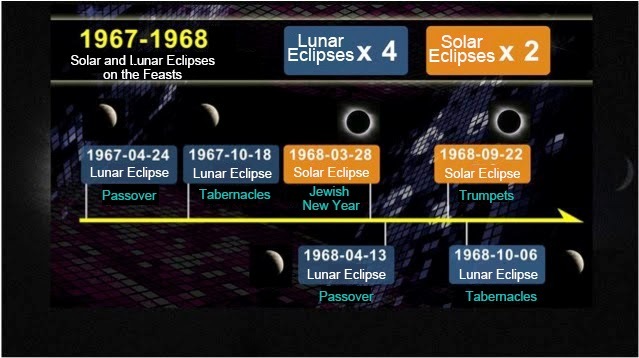 Two lunar eclipses in 2014 will be on Tabernacles and Passover. 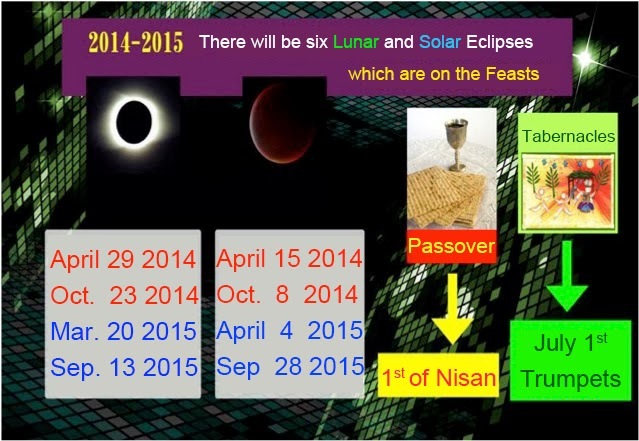 There will be four feasts which will have solar and lunar eclipses in 2015. That’s so quite unique. 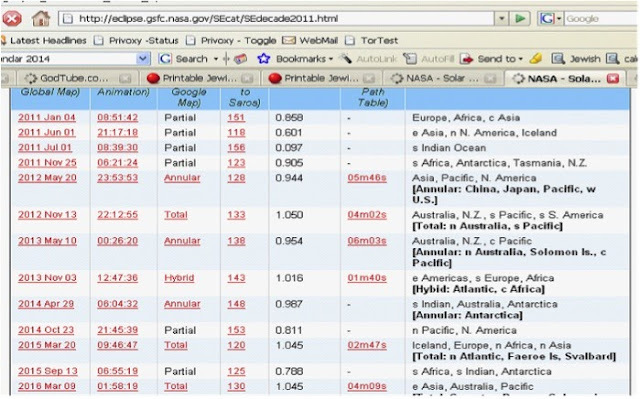 On March 20, 2015 is in the spring equinox, there will be the solar eclipse in Jerusalem. 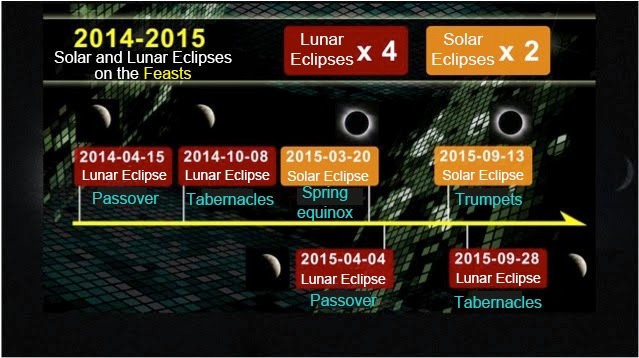 And on April 4, 2015 is Passover, there will be a lunar eclipse. 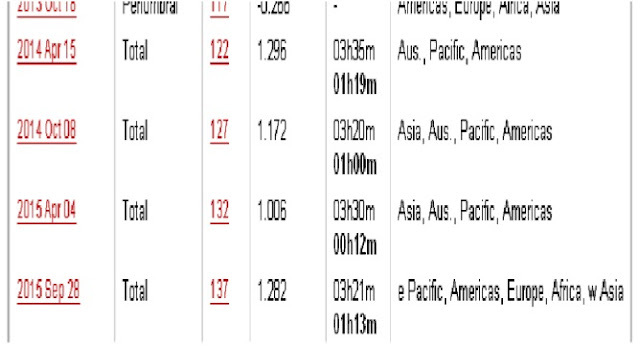 On September 13, 2015 is the Trumpets, there will be a solar eclipse. 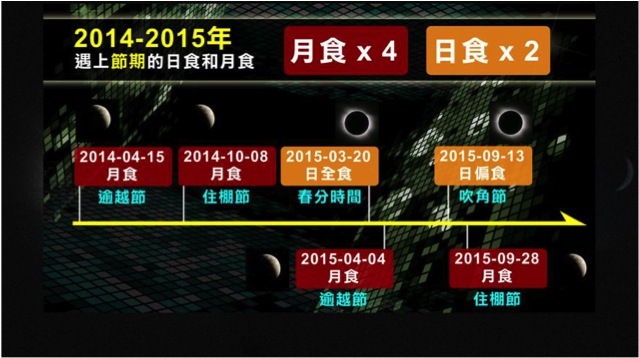 Then on September, 2015, the fourth lunar eclipse of the year will happen. That will be pretty special, because there won’t be any like that for the next 100 years after 2015. “They will fall by the sword and will be taken as prisoners to all the nations. Jerusalem will be trampled on by the Gentiles until the times of the Gentiles are fulfilled.